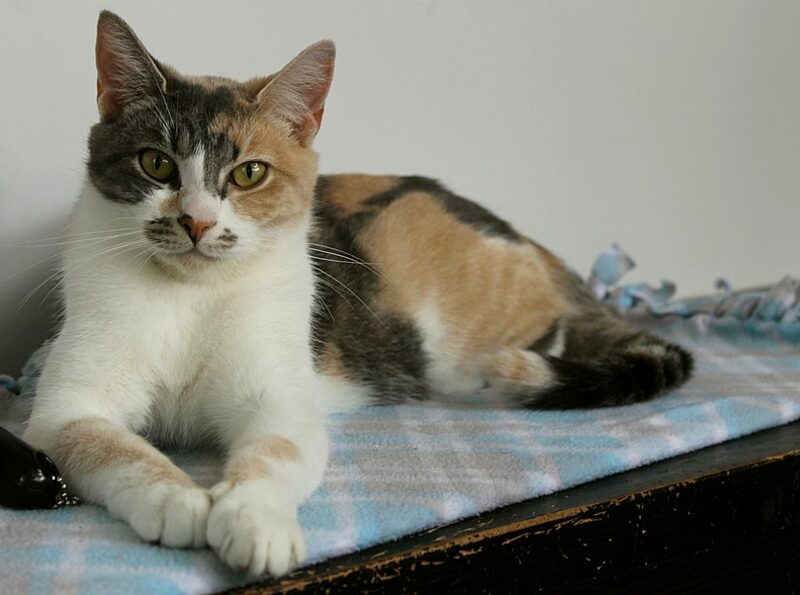 I am Laura the lovely 1-and-a-half-year-old petite calico girl looking for love! I’m a very sweet and pretty kitty that is pretty low-maintenance and just happy to get love whenever I can. I don’t mind being picked up and held and overall I’m really gentle and tolerant, making me a great kitty companion for a family with kids. Being such a pretty kitty solicits a lot of attention, and I certainly don’t mind! People fawning over me is one of my favorite things, after all. I’m really cool around other cats as well, though I definitely wouldn’t mind being your one-and-only — I’m flexible! I’m still young and am very adaptable and will certainly grow to be playful as well, once I’m comfy in my new home. I was a young mama cat, so right now I’m just happy to rest and live my own life without having to be on Mom Duty. I came to Pixie with my two very handsome kittens, Luke and Owen, and have since sent them on their way to their new forever homes. Now it’s my turn! 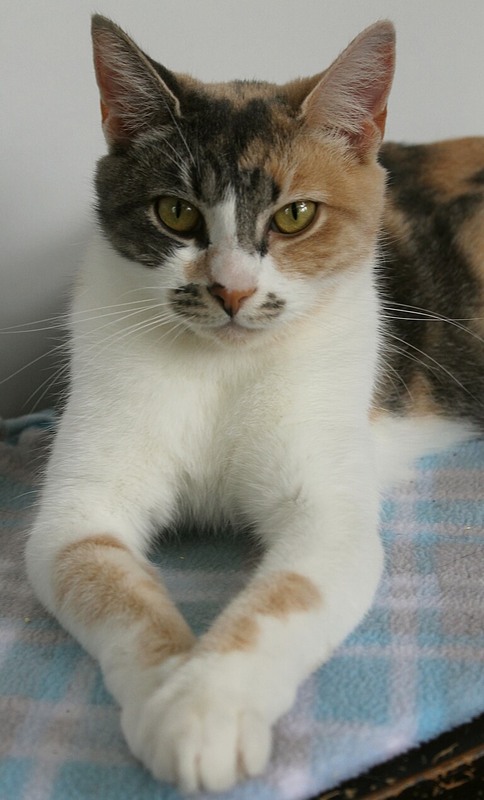 I’m currently living in the Pixie cattery and would just love to meet you to see if we are the purr-fect match. Won’t you come visit? I come to you fixed, vaccinated, and micro-chipped for an adoption fee of $100.